There are absolutely no rules when it comes to the style of women’s wedding bands. 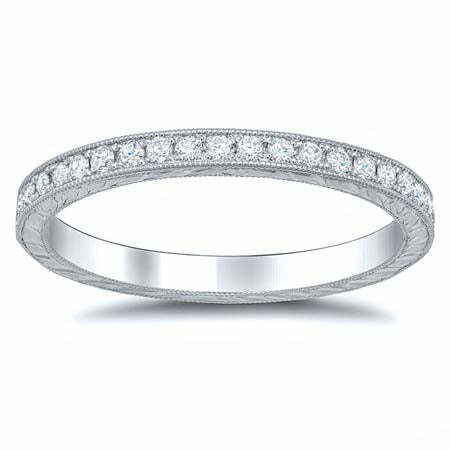 Some women adore the look of plain wedding rings, while other women desire something a little more intricate. 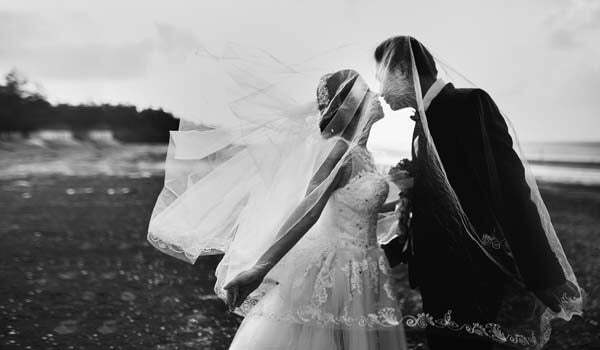 Most women are choosing to wear a diamond wedding band, with many choosing to wear more than one ring in order to mix and match. 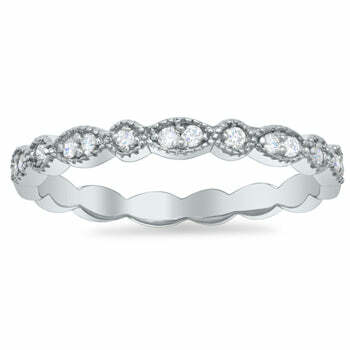 We have a wide variety of affordable women’s wedding bands in an array of different designs. Our customers love this wedding band. It has a scalloped design and is set with round brilliant cut accent diamonds. The ring features diamonds partway down the ring. The ring has a width of 2.5mm and can be worn next to an engagement ring or stacked with a few rings. 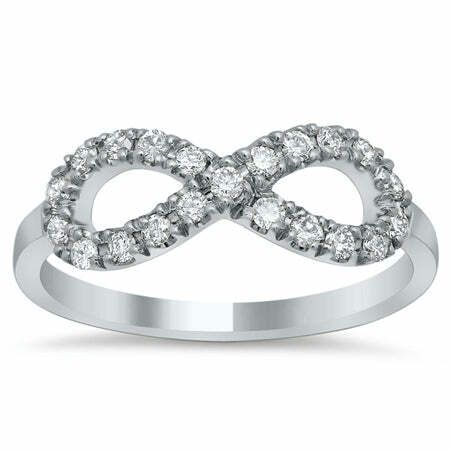 The infinity design is a powerful symbol of everlasting love and commitment. This ring is available in 14 karat white, yellow, or rose gold. The ring features 0.16 cttw of round brilliant cut G-H color SI clarity diamonds. This ring looks beautiful snuggled next to an engagement ring, worn alone, or next to other rings. For a ring with some vintage flair, this is a charming option. The ring features hand engraving on the sides of the band. The ring has a width of 2mm and is set with VS clarity F-G color diamonds. This ring is available for purchase in either gold or platinum.